Three women. Three Fekkai salons. Three beautiful experiences. It began with a hairbrush. A friend had given it to me, still in its original box. The outside read “Fekkai” in a beautiful italic font. I asked, “How do you pronounce that?” My friend said, “feh-kigh.” I felt the shape, texture, and form of the brush in my hand. It was a work of art. Sure, it was just a hairbrush, but it felt different from any other brush I had ever held. I knew that its creator was an artist. There is one thing that I know for certain: artists are heroes. They are the fearless soldiers who dive deep into the human soul and return to put the objects of this world together in such a way that, through them, we experience the radiance of those places we dare not go. It is the artists, evoking the feelings that connect us to our deeper selves, who help us along in the heroic journey of our own lives. It was the artist named Frédéric Fekkai who had created the hairbrush in my hand. Born and raised in Aix-en-Provence, France, to an Egyptian father and a Vietnamese mother, Frédéric became a hairstylist at a young age. He moved to Paris at twenty-one and rapidly rose through the beauty ranks, joining the roster of notable Parisian hairdressers. 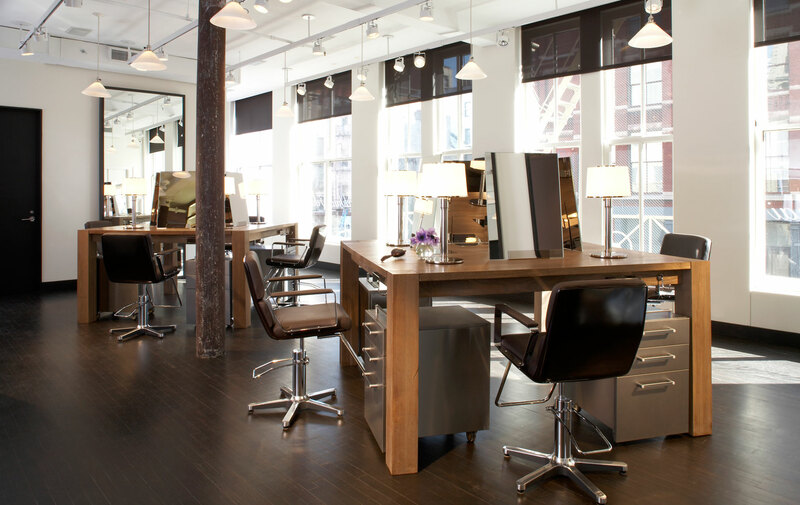 Now, seven salons in the United States—three in New York City’s SoHo, Upper East Side, and Fifth Avenue areas, and four more in Los Angeles, Dallas, Greenwich, and Palm Beach—all bear his name. I continued brushing my hair with Frédéric’s brush, and then I was introduced to his Shea Butter Conditioner and Tousled Wave spray. Before long, I said goodbye to my other products and started using Fekkai’s luxury hair care line. I couldn’t put my finger on it, but something about Fekkai just made me feel better. Frédéric’s creations were changing me, from the inside out—that’s what art does. I booked my first appointment at Fekkai’s Fifth Avenue salon inside the Henri Bendel building. It began with a blowout from Patrick, and I never looked back. I sat in his chair until the blowouts had turned to trims, and the trims to balayage highlights, and then, one day, I found myself twirling in the makeup chair. Fekkai became a sort of therapy for me. The stylists knew how to help me walk into a room and feel beautiful. 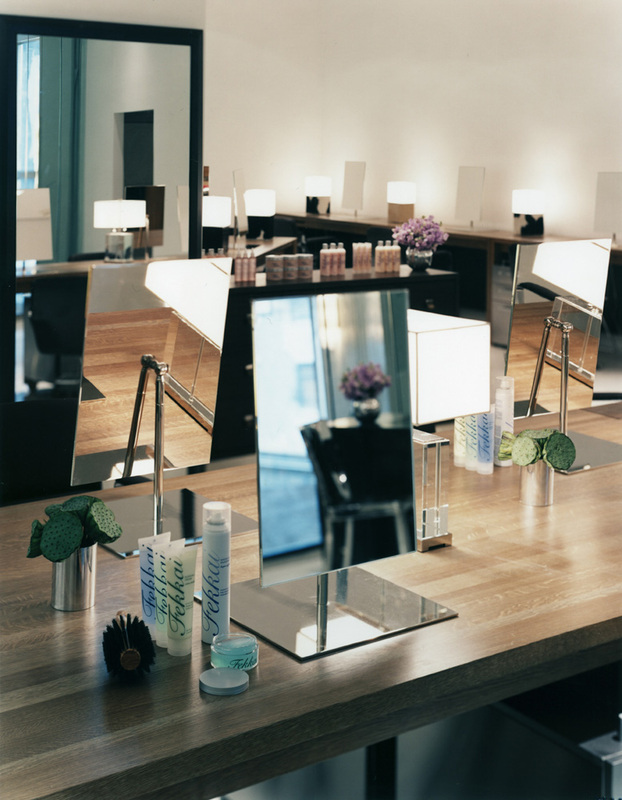 When I moved to SoHo and stepped into the Fekkai salon there, looking for a quick bang trim with Creative Director Fabrice Gili, I was delighted to find that Frédéric Fekkai had brought downtown living up to a whole new level. I felt as if I was walking into a quiet inner courtyard, away from the city streets and into a chic sanctuary filled with decadent fabrics, rich woods, and splashes of colorful flowers. The gentle hum of hair dryers blended with music and left me feeling like a supermodel. It was the luxury and sophistication of uptown combined with the edge of Manhattan’s hottest neighborhoods. “I do not think it is beautiful to be ‘like’ something or someone. I think it is only beautiful to be who you are.” This is what Fabrice said when I told him that I would be writing for VIE this summer and wondered if maybe we should do something to my hair that would transform me into a more polished version of SoHo–beach chic—a version of me that my mother would be proud of. Hearing what he had to say, I felt butterflies—bang-trim butterflies. I was so enraptured, I couldn’t process his words until he had left me for another head of hair, but his sentence had already changed my life. Fabrice had given me permission to be me—to be Anne, as is. They say the first impression is everything. The elevator doors opened on the fourth floor of Henri Bendel on Fifth Avenue, and I was greeted by a gorgeous modern lobby that overlooks the four-story, limestone-clad Renaissance Style grand atrium of the department store. My appointment with Co-Creative Director Stephane Andre for a haircut and Brooklyn Vilano for color at Fekkai’s flagship salon awaited me. When I walked in, Stephane surveyed my hair and clothes with laser-beam accuracy and asked a few questions about what I did and where I lived. He didn’t say much, but it was clear he was calculating what he thought was best for my hair texture, color, face, and lifestyle. It was a somewhat surreal experience, but it was exciting, too. He ran his fingers through my hair from every direction while analyzing its properties, and I realized that this was a master artisan—I was in very good hands. I relaxed and waited to see his creation without a thought of whether or not I would like my new look: I knew I would. As a young man growing up in Paris, Stephane Andre was focused on a career in chemistry until he visited his uncle, who was a hairdresser in a suburb of the City of Light. There, Stephane discovered a passion for bringing out the beauty in every woman. Thirty years later, as I sat in his chair, it was clear to me that Stephane still has a passion for hair and beauty. While Fekkai colorist Brooklyn Vilano has his own look that’s hard to forget, it’s his color expertise that keeps clients coming back again and again. With extensive training in coloring techniques and over ten years of experience in the industry, Brooklyn loves choosing young, fresh color options for his clients based on the tones that best suit their face shape, skin tone, and lifestyle. The cut. The color. The confidence. The time. The experience! It was a pampering adventure with one goal in mind: to make me beautiful. And the end result? I love my hair! Pierre didn’t just style my hair; he transformed my self-perception. Frédéric Fekkai is not just a salon: it is a reminder that we are all more beautiful than we believe.